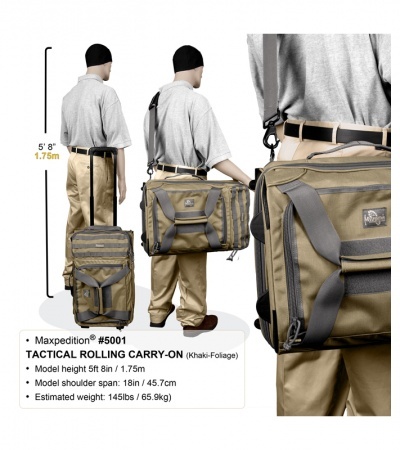 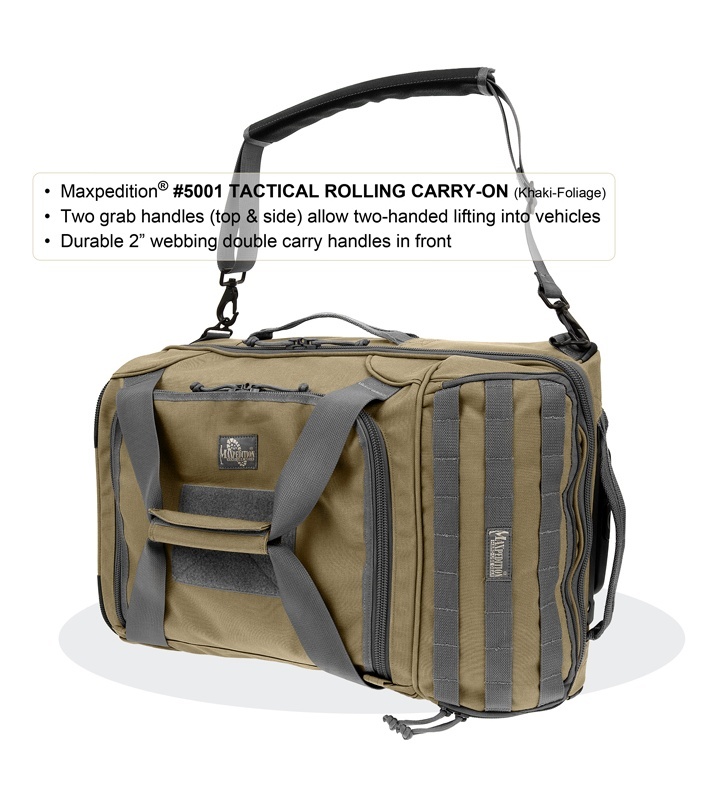 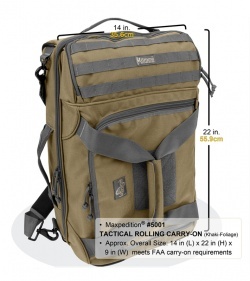 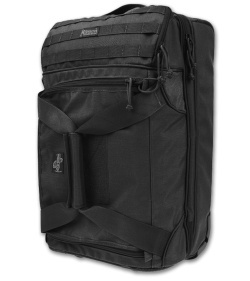 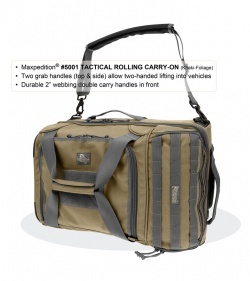 The Maxpedition 5001 tactical rolling carry-on luggage with telescoping handle, grab handles and full length skid rails. Sized to meet FAA carry-on bag size requirements, but be sure to check for weight limitations. 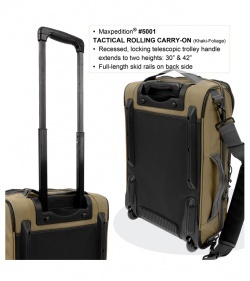 •Recessed, locking telescopic trolley handle extends to two heights: 32" & 39"